The U.S Supreme Court's ruling declaring gay rights as legal in the country, which attracted jubilations in some quarters and condemnations among some other people, shows a triumph for gay rights and muted opposition for a culture viewed yesteryears as an abomination. Observers see the development as a result of waning of the work of the Church in areas considered religion jurisdiction. This triumph of gay rights is seen as a by-product of the loss of influence in the society by the Church. These days people talk about several abnormalities that have crept into the societal cultures. Young people say they are scared of marriage because of the rate marriages are failing. There is a loud complain against increasing rate of single motherhood - not deliberately embraced by mothers, but a situation forced on most of them by circumstances beyond their control - and leaving children vulnerable to improper upbringing without the presence of a male figure in the house. With increasing lack of hoe training, many young people are attracted to crime and drug in search of money and fame. Observers say that the schism in the Church has turned Churches against themselves rather than unite them against the encroachment of cultures which the Church formerly termed 'worldliness'; and that the attention of new mega Churches to the pursuit of prosperity gospel, have opened the door for the triumph of abnormal cultures that are riding on the back of liberty and legality. When Martin Luther visited the Papacy in Italy from Germany, where he was stationed, what he witnessed by those who were supposed to live what they preach to others doing threw him off balance. He decidedly established the Lutheran Church, the first development that signaled the trouble which the Church and the world was stepping into. Available information has not blamed Luther for his action of leaving the Catholic Church, but Bishops in Rome who preached sanctity and lived a life of worldliness. The second major reason that led to further tearing apart of the Christ's Church happened in England, when the King thought he could have his way against the Church's marriage rules. People who thought that the doctrine of 'One man, One wife' was abnormal without an option for divorce left the Catholic Church and embraced the Anglican Church, otherwise called the Church of England. For example, when the Anglican Church arrived Nigeria in Africa, it was welcomed, but still people felt that the Church was too strict. Though the Church allowed divorcing and remarrying, but it frowned against polygamy and rejected the idea that Africans could be priests. The Church thought only The white people could be priests. The opposition against the Anglican Church because of its marriage doctrine that frowned against polygamy and Africans becoming priests led to the establishment of the African Church with flexible doctrine that allows Africans as priests and polygamists to worship in the Church - accommodating the tradition and the culture of the society. The emergence of the Pentecostal Church in the U.S in the 1900s brought a new form of worship and the worship of the filthy-lucre now known as the prosperity gospel. The church has since become no longer one under Christ, yet all of them claim to represent Christ. The Church as a united body, even after Christ, never accept what it termed abnormal cultures, which it had fought from the time of Christ. In the book of Romans, Paul wrote about those who love to do things that is contrary and ended it with a curse. It was from Paul's statement to the Romans that it became clear that homosexuals have existed for a long time and that they have not just emerged. Today, Africa has polygamy which it has for a long time been asking the Church to consider and embrace. Africa has rejected homosexual in all its guise, just like the West that has rejected polygamy. It is not clear, but from the popular embrace of the homosexual culture in the West, it seems the culture may have existed here for a long time, just like polygamy in Africa. Even in the West, people are still divided on the healthiness of the homosexual culture. Some people say the culture is the root of HIV and AIDs and that the rich people who have money to cure themselves have no problem, unlike poor people who imitate the rich by embracing the culture. Yesterday, a lady carried a placard that reads "Every home deserves to have "Mum and Dad," against "Mum and Mum" and "Dad and Dad". The presence of opposition against what many in the society now consider as normal shows that the Church and those who believe in the Church are working to turn the table against gay rights, but a divided Church is seen as likely incapable of achieving tangible result against the achievement of the now acceptable culture. 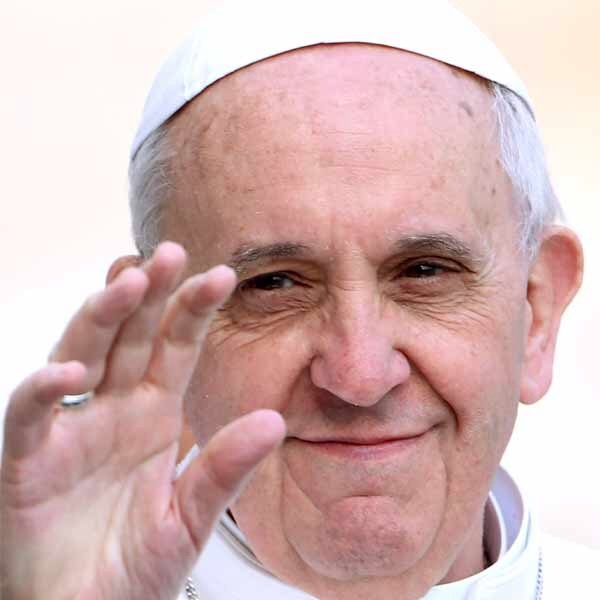 People who have been hailing the new Catholic Pope Francis for bringing a new lease of life to the Catholic Church have suggested that his work will be incomplete without finding away of bringing the entire Churches together under one umbrella. Some other people say any goal of bringing the Church to be one again is impossible, but that the Catholic Church can lead other being a good example, whose Fathers are not doing what they preach against. It is suggested that the Catholic Church can use a mechanism of sharp sermons against abnormal prosperity, embrace miracles, work assiduously against waning love for marriage among young people, mount campaign against single motherhood and fight global warming by telling Christians and others who still believe in religion to frown against abnormal acquisition of automobiles. People believe that the drive on the part of everyone to own a car is part and a sign of prosperity gospel that has accentuated the consumption of fossil fuel and that this has contributed more to global warming than any other single factor. People say the freedom by everyone to live life to the fullest with hard earned money is disadvantageous to the campaign against global warming and that global warming is not as dangerous as the erosion and loss of family values. Gay rights that have suddenly become parts of family values in the West are not seen in positive the light in still a larger part of the world.